It is a good school with teachers who teach nicely with good individual attention on students. Their regular functions are very encouraging for students as they get a chance to show what they have learnt. The fee is reasonable as compared to other academies. My daughter looks forward to going to the school everyday. I was very happy to see a formally run music school, unlike most other ones being run from the homes of teachers in non-professional ways. This is a welcome change and I hope the very best for Ishaan. Recently Ishaan school held a function dedicated to shri rabindranath tagore in which my daughter participated in the vocal music category. i am really happy to note her progress in a few months. thank you the the teacher and the school for providing this opportunity to her. Very professional session with individual attention to both new and old students. I joined after my first trial class. As a mother of 2 daughters, i researched a visited many institutes before finalising on ishaan school. the teachers there are not only knowledgeable, but also cooperative, homely. i can feel safe sending my kids there. i think my daughters will take away a lot from ishaan school. Since 2014, i have been learning guitar here. sir has very good teaching skills and only in some time my chords were very clear. then slowly he taught me songs too. good teacher. I just took one trial class here and I feel obliged to write a review for them. It was a pleasure learning here and whenever I have to learn formally, I know where to go. To be true I found Ishaan music college on mycity4 kids and looking at their profile only, I decided that my daughter should learn here only. We joined the next day and it was clear why Ishaan is so loved. My daughter adjusts to very few things but she loves going to Ishaan everyday. I am satisfied overall with my experience at ishaan college and would recommend to all fellow learners. I golni mehra, study in a collge in noida and i had a dance competition in noida today only for which i had approached at ishaan music school only 2 weeks back, they decied to train me and today i won the competition! cannot thank sir enough. I see why ishaan has got very good reviews from most parents. The experience right from the first phone call to classes is different from most small scale service companies here. very professional. The beautiful thing about being associated with a reputed institute is that they can offer the ladder for you for climbing up your path. With 3 auditions, ishaan music college did just that for me. All the schools, doctors etc my child visits are through mycity4kids rankings. 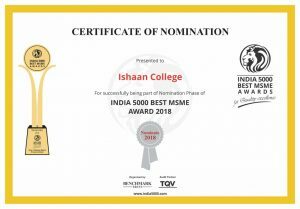 Ishaan music college too proved to be true to its very good ranking. Ishaan sir asked me to perform in a function at ishaan school but i was really nervous, he encouraged me to sing solo onstage and i am thankful for him for that. i enjoyed a lot and eveyone congratulated it. Ishaan is very nicely maintained. the premise gives the impression of a class school. it inspires confidence to send my boy yash there. Yash has learned a lot in the ast few months there.